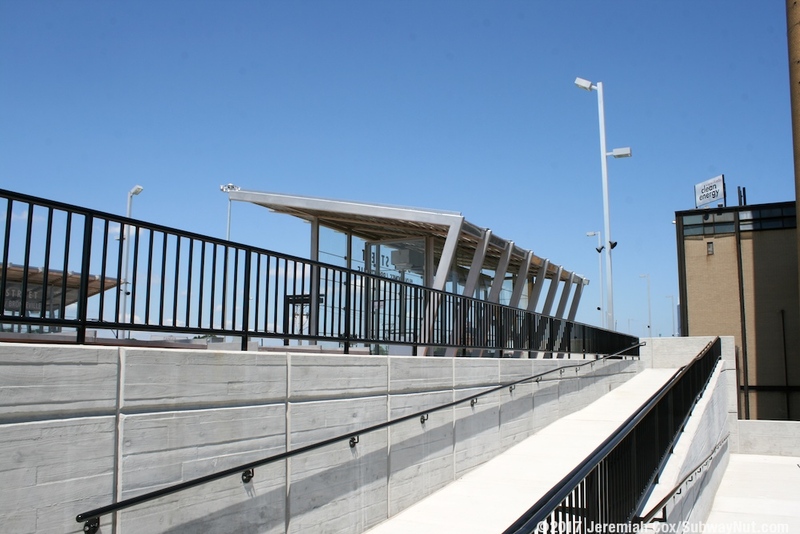 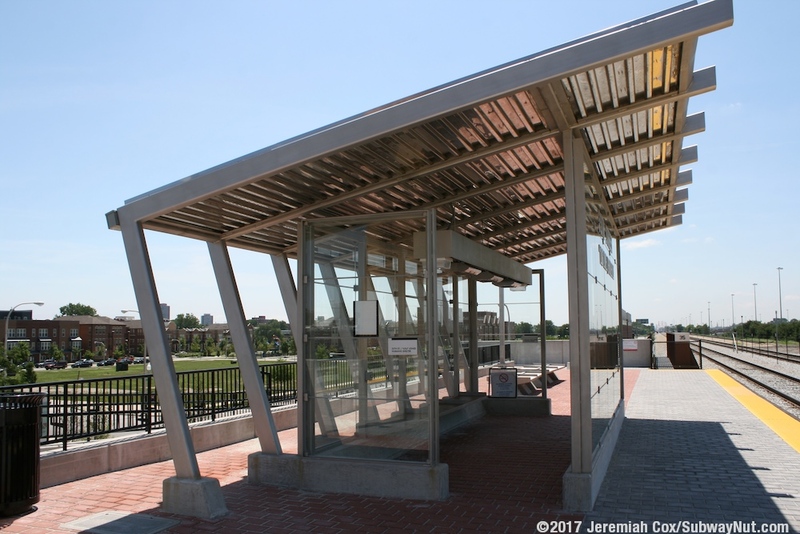 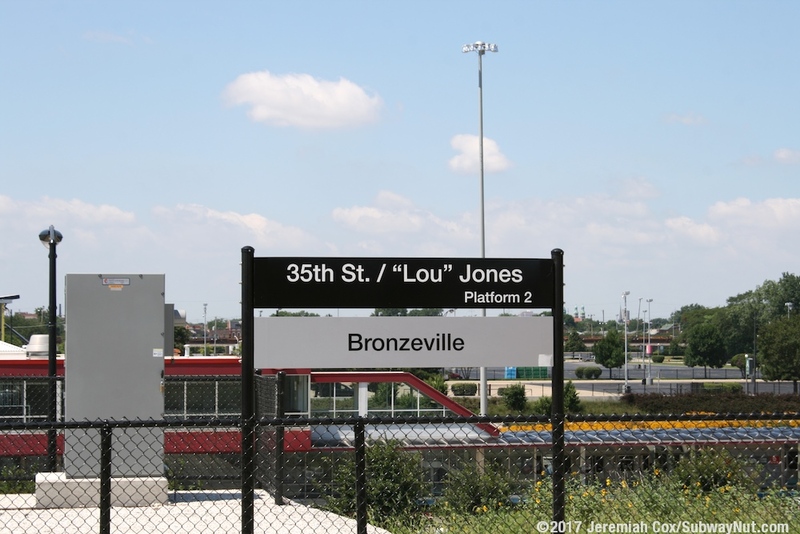 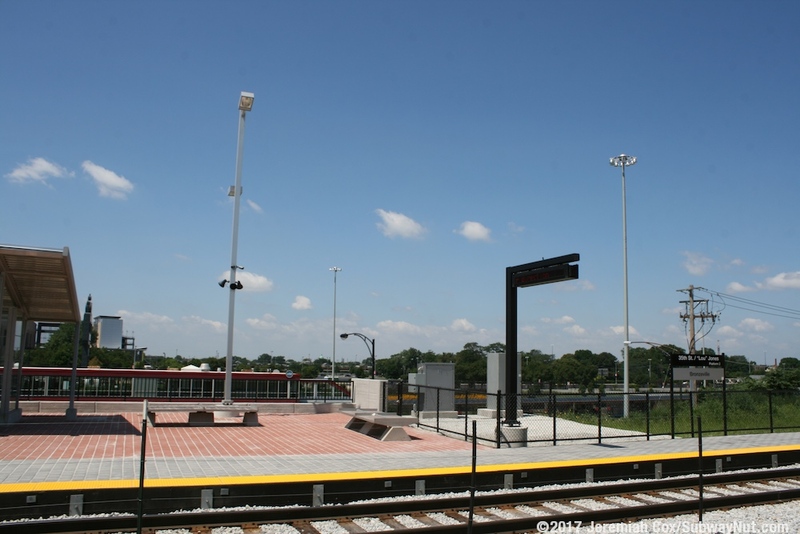 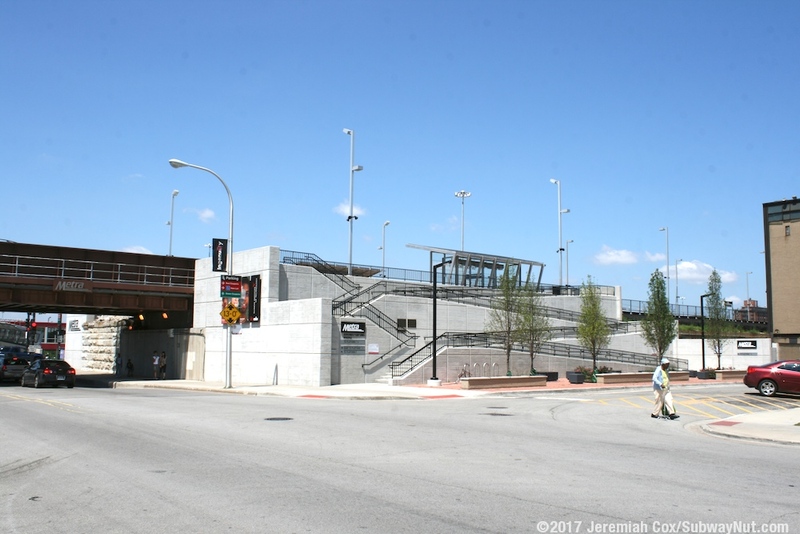 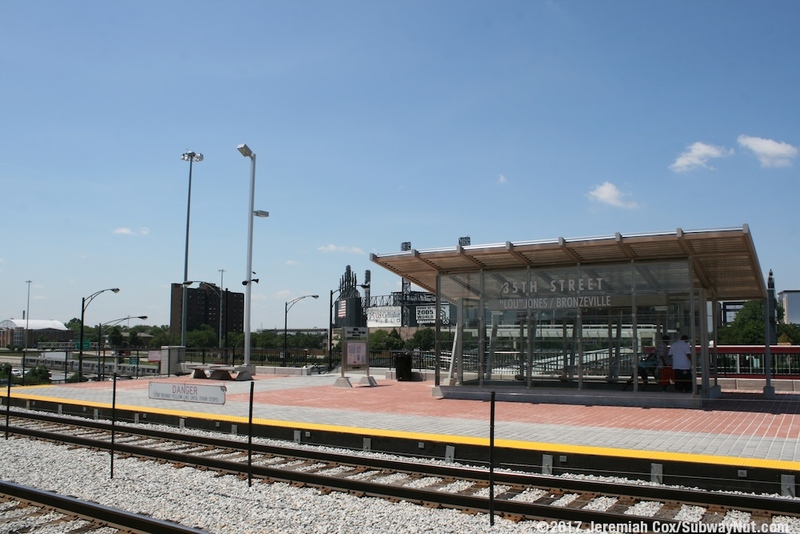 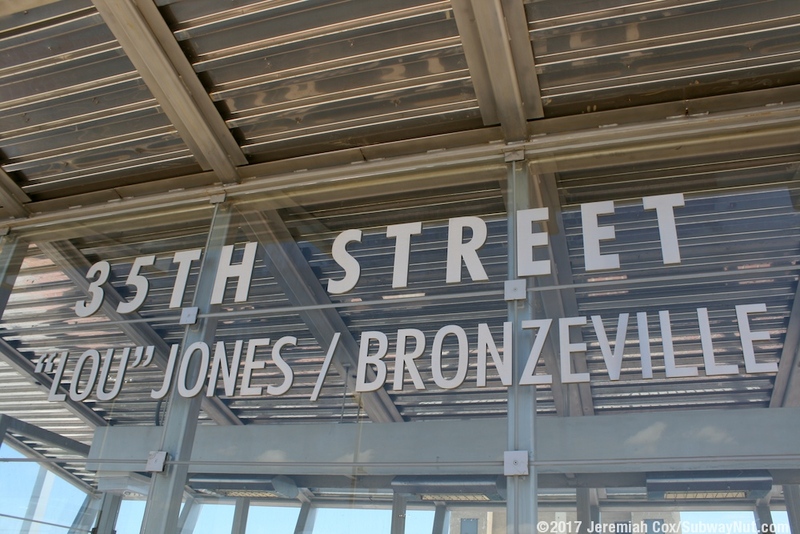 35th Street: "Lou" Jones/Bronzeville opened as an infill station on the Rock Island Line on April 3, 2011. 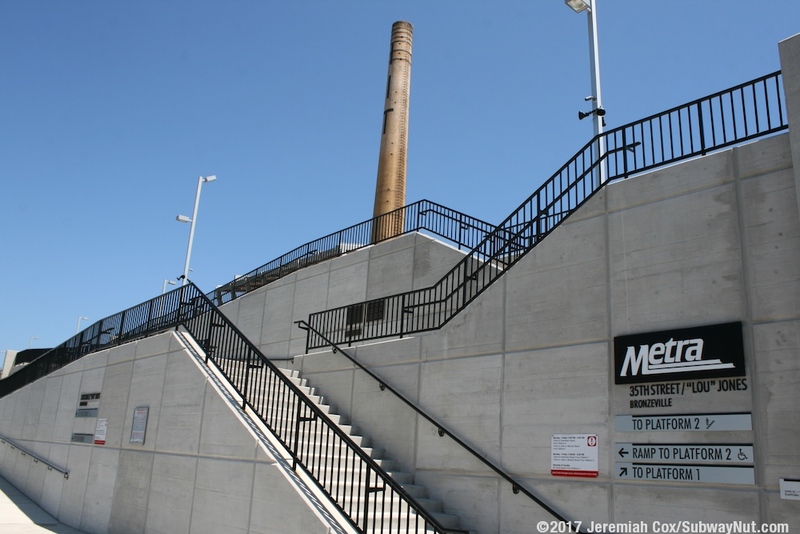 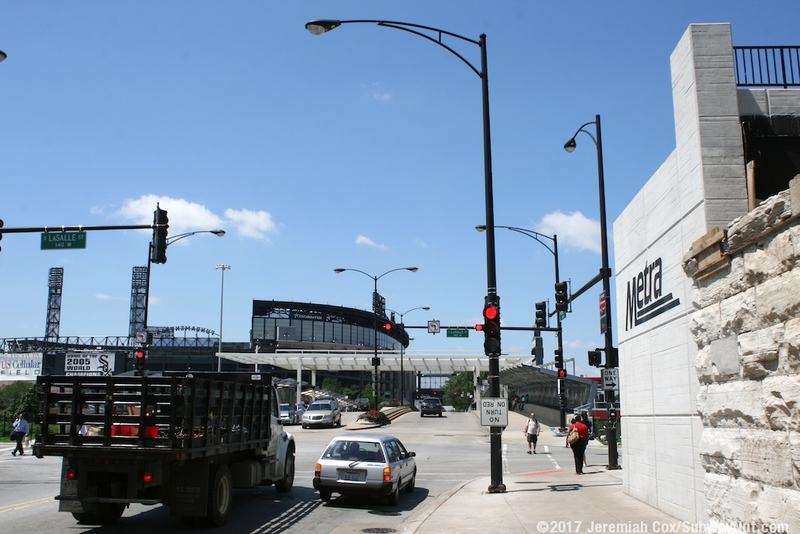 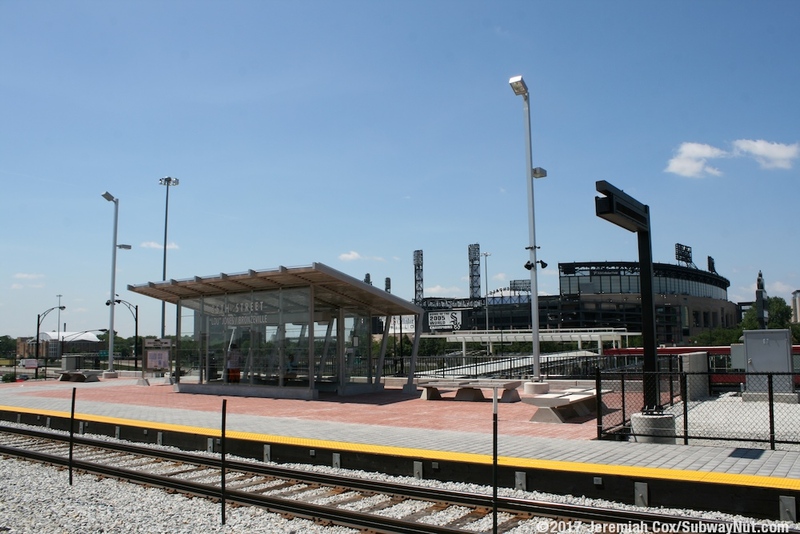 The station serves the new Comisky Park (or whatever the current corperate sponser of the ballpark is), which is located across the Dan Ryan Expressway, with the Red Line running in the middle of it from the station. 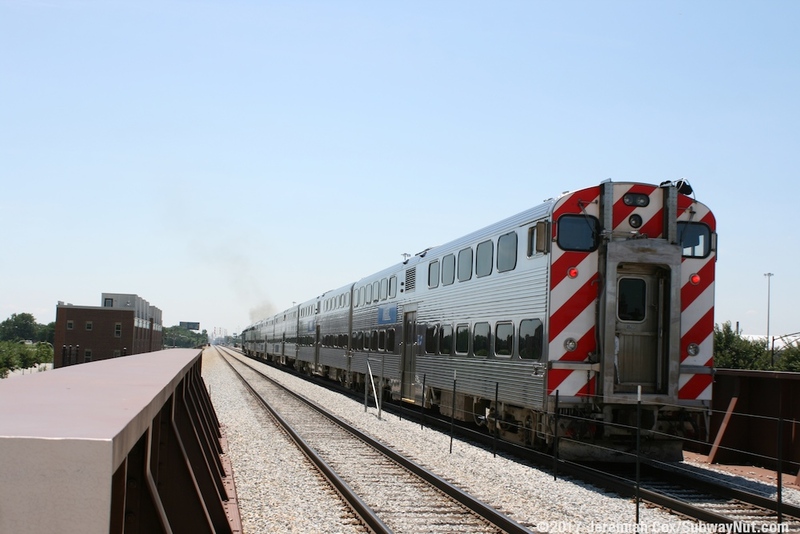 The stops unique suburban location means most Rock Island Line trains serve the stop (except for some during rush hour), usually as a flag stop. 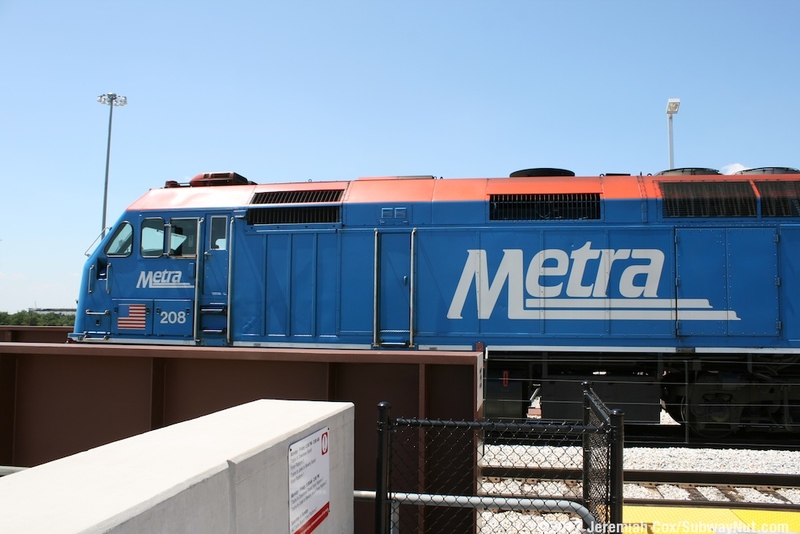 Metra though doesn't run 'special' trains for White Sox games with passengers needing to take reguarly scheduled weekday trains at 9:52pm or 11:22pm home from the games. 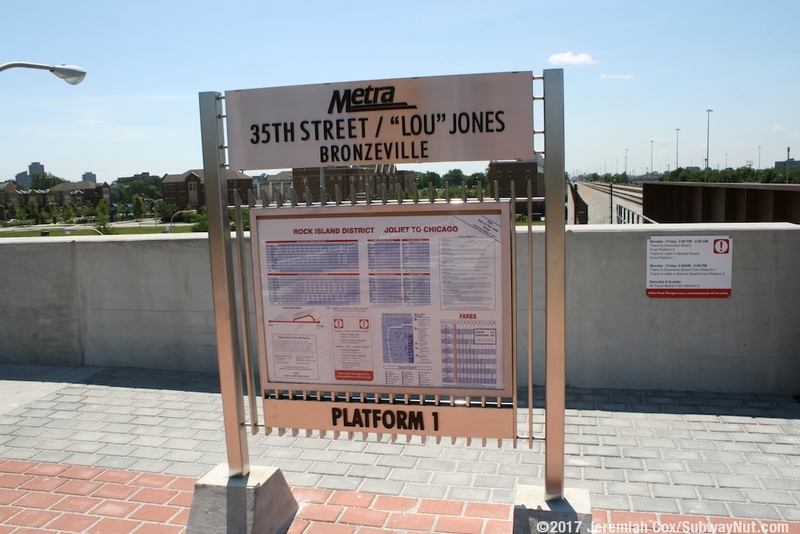 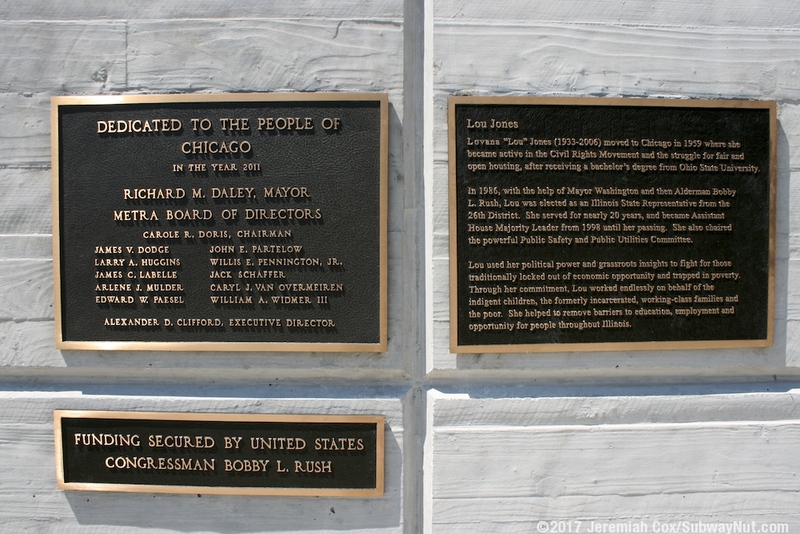 The station is named after Lovana Jones an Illinois State Representative from the neighborhood. 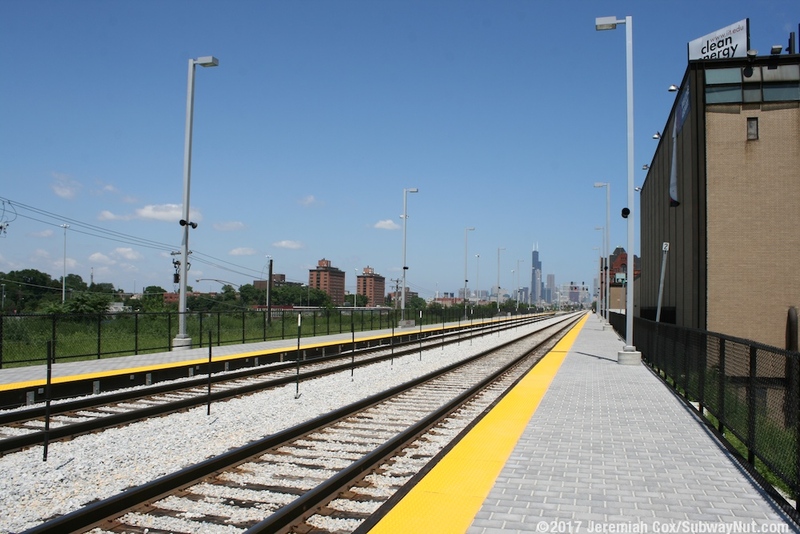 The station consists of two side platforms for the two track line that begin just after the railroad bridge over 35th Street. 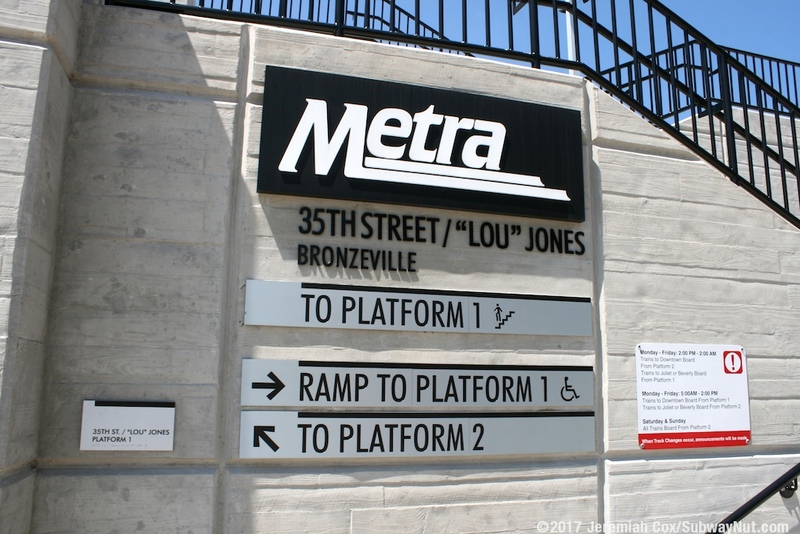 The Platform 1 entrance is at the NE corner of LaSalle & 35th Streets. 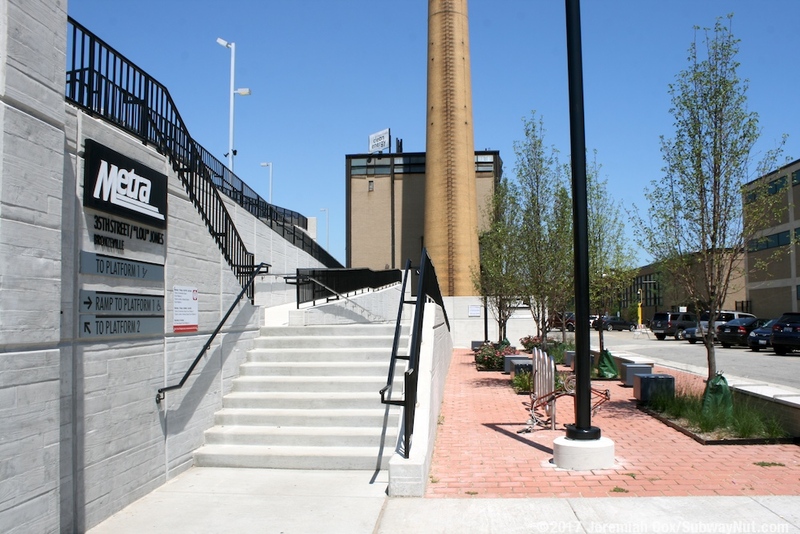 The Platform 2 entrance is at the NW corner of Federal St and 35th Street. 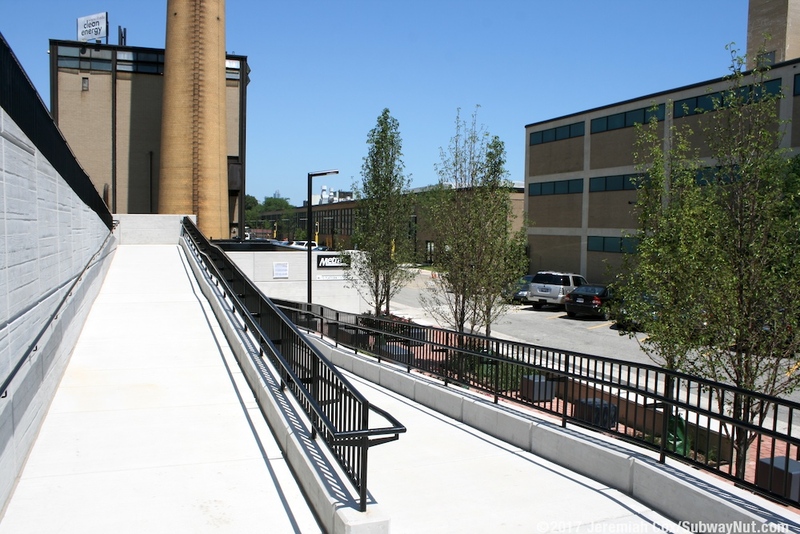 These platforms each have a concrete staircase and ramp structure up to them. 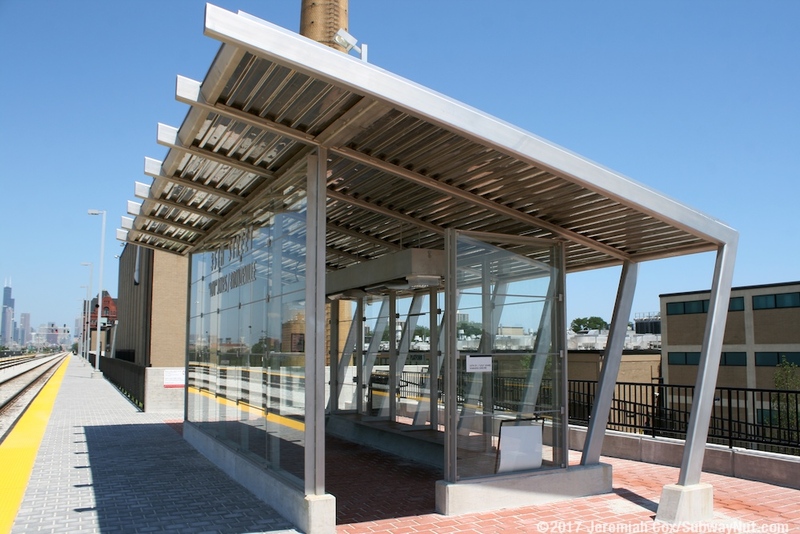 There is a single modern glass shelter with a windscreen located above the ramp/staircase entrance. 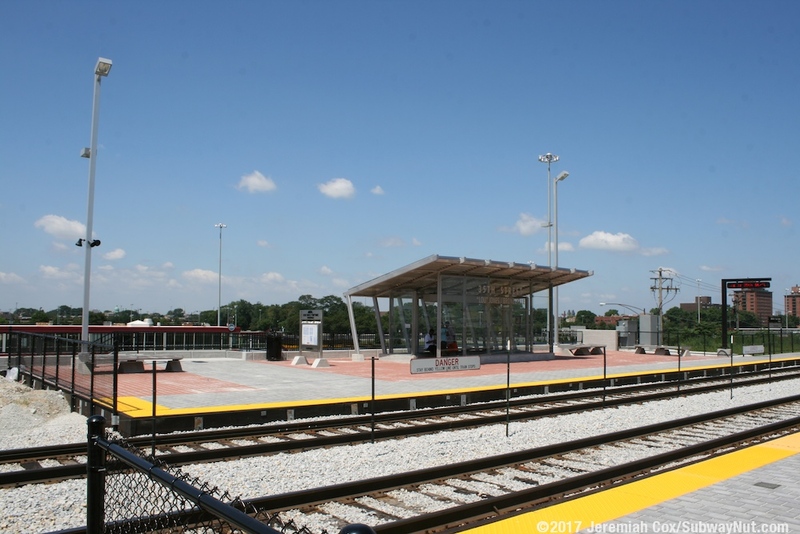 This area of the platform is wider and also has a few benches The platforms then continue north with no further amenities.